Lovecraftian—the delightful adjective we have assigned to all that borders on cosmic horror. H.P. Lovecraft wrote some of the greatest weird fiction tales of all time, yet is perhaps used as a crutch a little too often in contemporary storytelling. 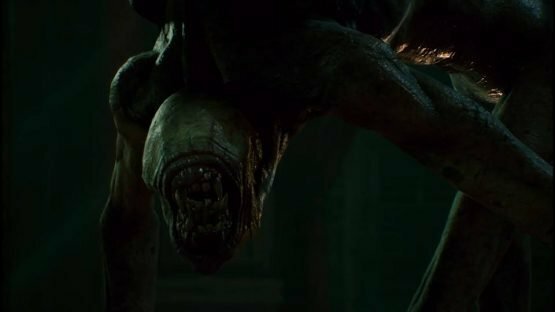 Call of Cthulhu is a game that does a lot of things right, but gets some other bits wrong here and there; in fact, some of its horrors aren’t all that to do with genre. However, this game—like so many others—leans toward the wrong end of the adjective Lovecraftian. 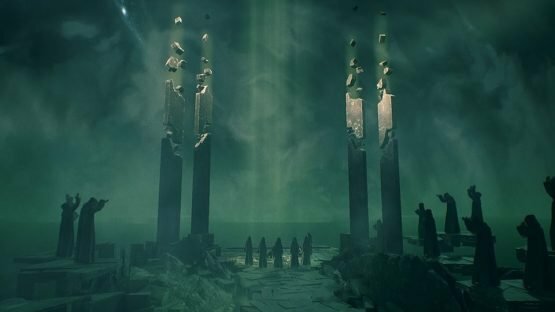 While the game does contain a lot of “Lovecraft,” it doesn’t delve as deeply into the suffixed “-ian” to be truly innovative in a worthwhile sense. 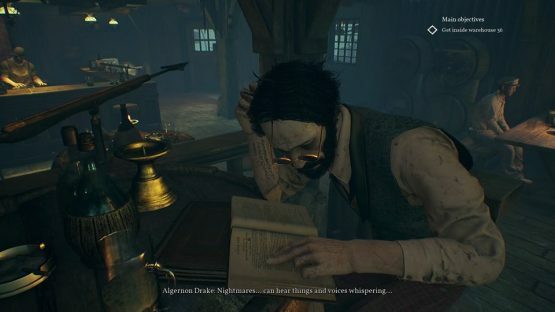 Nods to Miskatonic University here and there lend themselves well to pleasing a fan of the source material, but overtly ostensible injections of Lovecraft into the heart of the game can sometimes spoil the momentum it manages to build by itself. While it’s fine to stay true to your source, many games in the past have done the exact same thing. Bloodborne springs to mind as a game that masterfully played with the “-ian;” Call of Cthulhu doesn’t get that badge of honor, I’m afraid. It does earn some other badges, though, and it is by no means a bad game. Call of Cthulhu‘s art design is fantastic. The hues of sickly shades of green create a damp and cold world in which the most repulsive stenches imaginable mingle with the air itself. Like T.S. Eliot’s feline fog, the smells of all things dead and buried lick the walls and stretch themselves out to bask in the artificial light of a fluorescent asylum bulb that has confined itself to an existence spent flickering on and off, with light and darkness being equally terrifying. That said, no one moves like an actual human. I don’t mean this in the way in which the residents of The Shadow Over Innsmouth walk in a way that resembles that of an amphibian soul locked within the clumsy infrastructure of the human body. I mean it in the sense that he who smokes a cigarette impales his cheek with his knuckles, the cigarette temporarily disappearing into a parallel, Cthulhu-less universe. Animation is difficult. I don’t say this in order to devalue the hard work of people who did so many things right. However, it becomes difficult to take the game seriously when someone who is supposed to deliver a statement imbued with the core of the game’s horror is waving his arms about in a way that makes it seem as if he’s just telling you that he’s off to the shop because you’ve ran out of bananas. Really, that’s the kind of arbitrary situation that the frantic movements of characters call upon, aside from when they’re trying to pull their hand out of their face after having lodged it there in an attempt to have a smoke. The scenic and structural elements of Call of Cthulhu are seriously well done; however, anything that is tasked to move does so in the most awkward way possible. Sure, this can be uncanny in some cases, yet unconvincing in others. You were in the army, weren’t you? A stealth game that opts to focus more on stealth than combat is fine; actually, in many ways it holds the potential to be far more interesting mechanically than its gun-toting, rip-roaring counterparts where a covert opts mission can become a war zone at the drop of a hat. However, when your character is an ex-military private detective and still manages to insta-fail stealth sections because he was seen by a solitary, unassuming stock guard, well, it’s just a bit silly, isn’t it? It’s sillier still when you eventually see just how strong and capable the Hollywood-abs protagonist really is, and an entire new layer of silly is slapped on top yet again when he eventually pulls a pistol from his belt, which he had all along, apparently. Until then, the lighter-wielding P.I. had access more than a couple of light sources, one of which is sparked at a particularly inopportune moment as the character progresses through an obfuscating field of mysterious smoke. “This smoke is like nothing I’ve ever seen before; better spark my lighter. Oh wait, this could have been flammable, couldn’t it?” It wasn’t even that dark. Just don’t use the lighter. The player can see without it, and that way you don’t need to compromise your character’s status as an apparently intelligent person. Now, this is where the game excels. I feel obliged to mention some other issues briefly before I get into how Call of Cthulhu‘s sense of space is highly commendable, so here goes. There are far too many spelling mistakes, the copy for the subtitles doesn’t seem to have been proofed all that well, and the game’s controls aren’t in the slightest bit intuitive. Also, the reconstruction mechanic the game uses is not executed as well as it could have been. Think of Geralt’s Witcher Senses, but imagine every time you had to use them you got a prompt taking up 1/16th of the screen. The detrimental effect this poses in relation to immersion is highly destructive in a horror game that should actively seek to draw the player into its world. Admirable conceptually, yet poorly executed and awfully tired as it’s a mechanic that shuns the new clothes it bought for hand-me-downs. On to the good stuff: doors. This game recognizes the value that doors hold. Doors are portals, even in the most literal sense; they are the bridge between one space and another. Lock them. Allow what lies behind them to revel in the horror imbued in mystery. An asylum, filled with guards that will lock you up at a moment’s notice; you make a beeline for the nearest door to find out that it’s locked. Now you’re in a different part of the same space from which you can see your point of origin, as tumultuous to return now as it would be to try the next door. Doors are great, but so are the kinds of portals that are more directly tied to perception and psychological horror. Dreamlike sequences where the protagonist flits from one scene to another imbues the environmental design with a sense of immediacy that is genuinely terrifying. Ripped from one plane of existence only to be hurled headfirst into another, Call of Cthulhu is remorseless in terms of environmental horror. This is supplemented by the accompanying soundscape, which is perfectly fitting and controlled in such a way that it enters and leaves as it’s needed. Unfortunately, despite the score scoring high in my books, the audio mixing is a bit hit-and-miss, as someone right beside you will sound as if they’re attempting to cause your real-life eardrum to explode one second, but sound as if they’re calling to you from across the road the next. So, with the above established, it’s clear that Call of Cthulhu manages to be pretty successful in terms of being a horror game, but there are lots of issues with it that make it seem unfinished, and not in a way that can get away with being intentionally fragmentary. The game tells an interesting story in a way that flirts with horror just enough to make the scary bits scary and the not-so-scary bits feel as if they’re merely illusory and the scary stuff is gonna pop out in just a sec. I’m personally not all that bothered with animation flaws or misspellings most of the time. Making a game is hard and imperfections shouldn’t be allowed to define something as a whole. If a game tells a great story in an interesting way, I’m usually sold. However, the one glaring thing that prevents this game from being great is the fact that it really doesn’t exhibit a desire to stand on its own two feet. I found the ending dissatisfying in the sense that it seemed to me like a major cop-out. In fact, it was the first non-Lovecraft thing in the game that attempted to be a little bit more -ian, which is a bit ironic given that I’m arguing for more -ian endeavors. I think the most important thing to do when you’re attempting to innovate on top of an established source is to make sure you’re consistent with it without being derivative of it. This game is guilty on both counts here, as the ending is inconsistent in the worst possible way, and the world is so directly derivative of Lovecraft’s work that it accentuates the inconsistency tenfold. This was disappointing, as the best things about the game until the end were the story, the world, and the atmosphere. Sure, there were lots of technical flaws, but I was invested in the game’s narrative to the extent that they were just minor nuisances. “I wish it was like this instead” became a mantra that was muttered for the sake of acknowledgement more so than an actual expression of discontent. However, with the game’s tropey denouement, I genuinely did feel let down. I replayed the game and made different choices, this time being a tad more satisfied, but ultimately the game feels as if it’s composed of a solid story with a random ending loosely stitched onto the back of it. 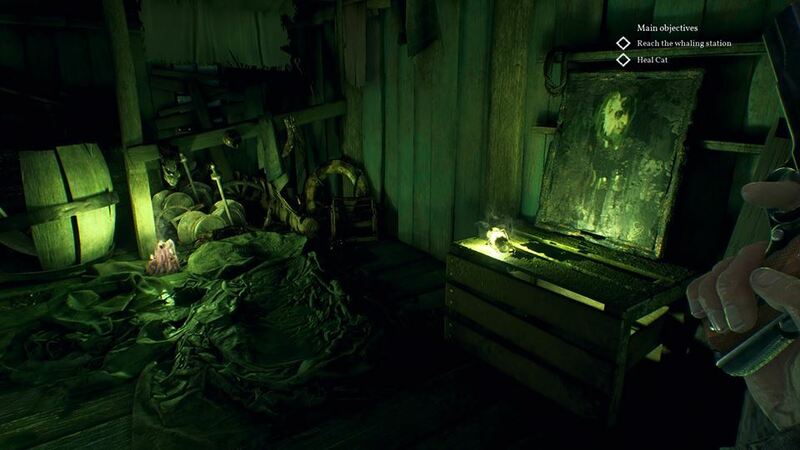 Call of Cthulhu is worth playing if you like your Lovecraft. It’s worth playing if you like horror in general, too. However, it isn’t a must-play, despite having the potential to have established itself as one. I enjoyed my time with Call of Cthulhu, but it let me down on several occasions, most notably on the occasion on which I concluded my critical consensus of the game. Cyanide did a pretty good job with this game, but it could have been much better if they’d done a little more, or perhaps even a little less. Either way, this is a good game that could have been great; a shell of something like Bloodborne, which established itself as a Lovecraftian narrative that had mastered its source material by meticulously crafting a game based on the -ian suffix that allows for innovation as opposed to replication. Great use of environmental horror. Confused pacing that actually adds to the game's uncanny nature. An art style that deserves serious praise for the atmosphere it creates. Tired mechanics and a lack of copy proofing. Far too reliant on Lovecraft's existing work and not willing enough to innovate on top of it.